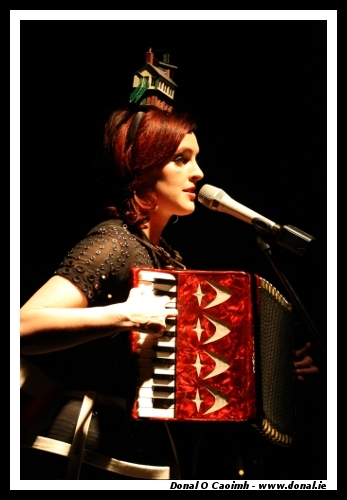 The delectable Julie Feeney played in the Pavilion in Cork a couple of weeks ago. Having heard her song Impossibly Beautiful a few times including on the Late Late Show the week before where Julie sported a house on her head! The night was a mixture of the surreal and delightful intertwined with a horrible feeling that Julie’s massive heels would have her tumbling from the stage as she climbed over the barriers. For one of the more memorable songs called Myth Julie went amongst the audience whispering into peoples’ ears which made for a dramatic effect as she wandered from person to person. 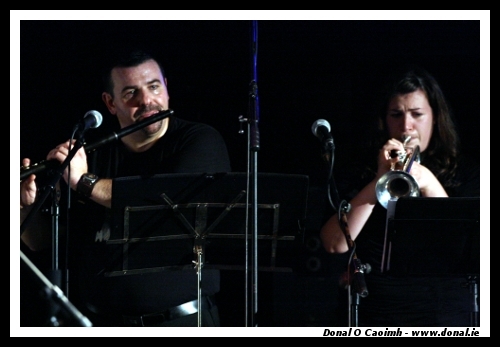 Throughout, the band members played a selection of instruments and were all highly-talented making the night all the more enjoyable. If you get a chance to see her play live, do it! See a few more photos in the full set on Flickr. Next Next post: Damn Posers!